Life of a mad typer: The true nature of tarot by Diane wing. 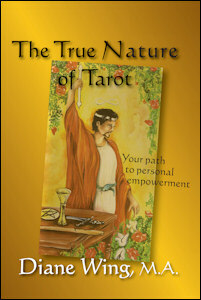 The true nature of tarot by Diane wing. I have been interested in tarot since I was in middle school. It was the same time I discovered my love for barns & nobles. I had never been there before the day I went with my mother. On that day she bought a set of the Waite tarot. She never really let me touch or see them but I always knew they were there calling my name. I inherited then when she died and still never learned how to use them. When I was given the chance to review this book that has the images of the very deck I have I was super excited. I also hoped it could teach me the secrets of the cards. I liked the tone of the book immediately and she even used a computer programmer in analogy! The book has the Tone of someone that understands modern technology and none of the stuffy old timey Mumbo jumbo you tend to see in books about the occult. She tells everything like it is and I can totally understand what she means. I leaned that black minimizes how much energy is coming through. (I wear almost all black.) I also learned that black can be used to help with your talents because it can be used to help block the energy of a crowd but one on one situations call for neutral colors for a better energy flow. 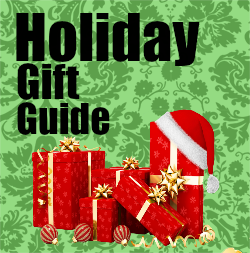 I don't want to give away too much of the book so I'll stop there! I will say I feel most comfortable with the quick answer layout so far but I will definitely continue practicing with this book by my side. The book was provided in exchange for a review. All thoughts are my own and 100% honestly my opinion. Great review!! I have never got into this stuff. Maybe I will check it out. I have never really given much thought to Tarot. I might have to go pick up the book to check out what it involves! Awesome review!!! Im gonna have to look into this! It sounds great! I've always been interested in having someone read for me, but never got around to learning to read the cards - though I did inherit a beautiful antique deck from a friend, and have been way more interested lately! The book sounds super interesting! I've really been into horoscopes, reading stars and now this is another book to look into. i have a couple other tarot books but this one sounds like its more detailed.